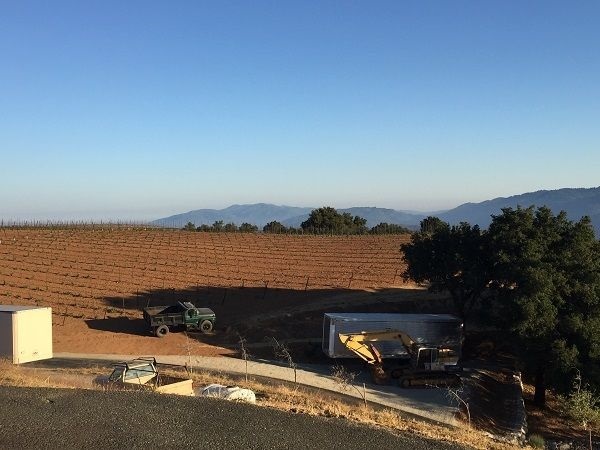 Paso Robles to the Santa Cruz Mountains – or ‘the rest of the Central Coast’, between Santa Barbara County and the city of San Francisco itself covers quite a diverse zone, so this is a bit of a ‘lumping together’ of 3 somewhat different areas. From South to North, strictly speaking, San Luis Obispo comes first, with Edna Valley and Arroyo Grande as its most notable AVAs. 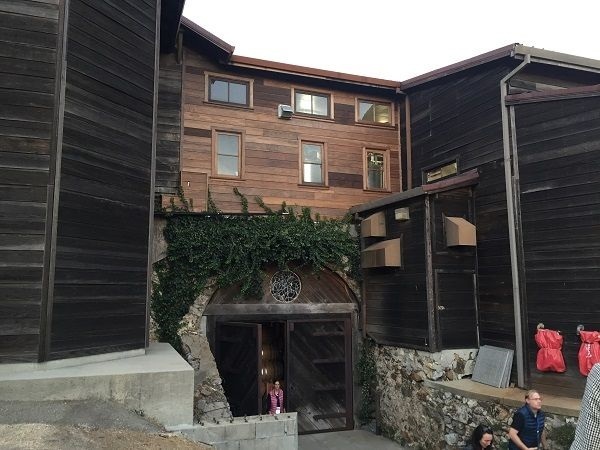 We didn’t stop there, though did have the opportunity to taste a few Edna Valley wines here and there, which showed some promise, including a convincing Grüner Veltliner from growers, the Niven Family. I don’t have a deep view of the region though. Paso Robles is further North again. Notably warmer than Santa Barbara, this is red wine country in the main. Though there are plenty of Cabernet and Bordeaux blends here many of these were overripe, over-extracted and hard to drink. Instead, Tablas Creek and others demonstrated that it is Rhône varieties which do particularly well – as can other Mediterranean grapes, like Nebbiolo. Monterey is next, separated from Paso by uplands on the North side of Paso, through which the 101 cuts. We drove through Monterey, which has a flat, fairly broad, valley floor running almost North-South, with low hills on each flank. It is generally a pretty hot area making soft, mass-market wines. It does, however, have a couple of noteworthy sub-AVAs, Santa Lucia Highlands and Arroyo Seco (not to be confused with Arroyo Grande!). Sadly, we didn’t stop, so didn’t get to see the Santa Lucia Highlands in particular, whose wines are certainly up and coming. It is being talked about as a cool niche within hot Monterey, being on East-facing uplands on the West side of Monterey valley, partly cooled by fog. Tasting Chardonnays and a few Pinot Noirs in London earlier in 2018 supported that view. But there is not always time to go everywhere! Finally, rising up to the East and South of Silicon Valley, on the approach to South San Francisco and close to SFO airport, are the Santa Cruz Mountains – steep, wooded hills rising to 800m and more. Sparsely-populated, with patches of vines on flatter areas, this is famous for taut, restrained Cabernet Sauvignon blends, led by Ridge’s Monte Bello, as well as crisp Chardonnays and Pinot Noirs with lift – including from Mount Eden, whose clones have been distributed far and wide across California. Mount Eden: perhaps not quite hitting the refinement of Ridge, but still very fine Cabernet Sauvignon and Chardonnay, plus Pinot Noir as well. And they say they have a much better view from the winery! Paso Robles is, roughly speaking, a wide valley running approximately North-west nearer the Pacific to South-east inland. It is bordered on the North-east flank by Cholame Hills and La Panza Range, and on the South-west side by Santa Lucia Mountains. 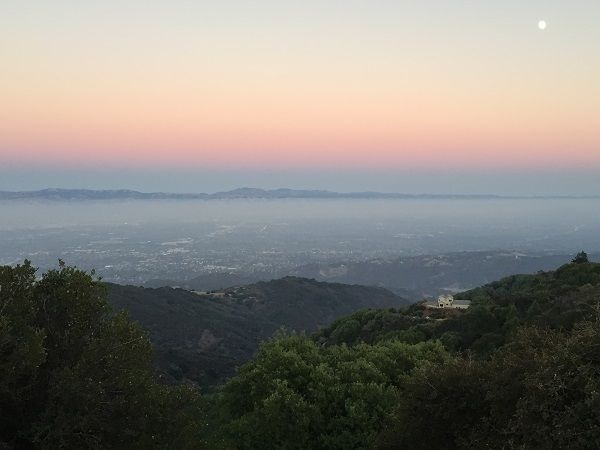 Unlike Santa Barbara, these mountains run conventionally – parallel to the Pacific – so reduce the cooling influence of the ocean on the winelands. Paso is therefore has regions that are warmer, ranging between Winkler zones II and IV. Altitudes up to 2,400ft in places like York Mountain and Adelaida District can be used to moderate the warmth. Rainfall varies significantly, dropping by a factor of 3 from the Pacific end to the more continental Eastern part. Overall, the local Paso Robles Wine Country Alliance describes the zone as Mediterranean. At 614,000 acres, Paso is about 3 times the size of Napa Valley, although only around 40,000 acres are planted. At its establishment in 1983, there was only a single AVA and it remained so for more than 20 years, until 11 sub-AVAs were created in 2014 to give better identity to regions with different warmth, altitude and aspect, rainfall, and soil profiles. 39% of plantings are Cabernet, 14% Merlot, 9% Syrah and 8% Zinfandel, but the 16% of “Other reds” reflects the plethora of Rhône and other Mediterranean varieties. Skipping over (glossing over?) Monterey and its sub-AVAs, we arrive at the Santa Cruz Mountains. These are a broad area of uplands stretching from coastal Santa Cruz over 100km North to the Southern suburbs of San Francisco itself, and inland around 40km to create the Western flank of Silicon Valley around San Jose, Cupertino and Palo Alto. In the Southern part, close to Santa Cruz itself, near the town of Bonny Doon, über-Rhône Ranger, Randall Grahm, established Bonny Doon Vineyards who demonstrated the potential for Rhône varieties in this region. 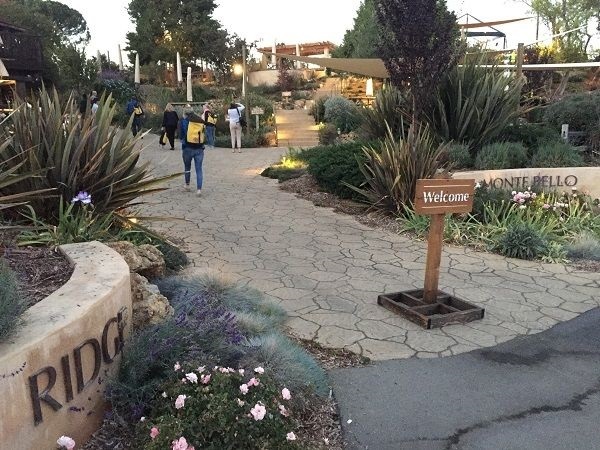 But it is longer-established estates further inland around Cupertino that have made the name for the Santa Cruz Mountains AVA, especially Ridge Vineyards and Mount Eden. These are surprisingly steep, wooded, highlands. People are scarce, which is equally surprising, given its proximity to the hugely expensive real estate of Palo Alto and San Francisco; its topography simply precludes dense population. Vineyards are scattered too, on parcels of flatter land often towards the hilltops. Monte Bello itself has vineyards up to 800m of altitude and few a great deal lower. These altitudes, combined with fog-layer interactions mean huge diurnal temperature variations that preserve acidity, as well as long growing seasons, but with enough warmth and sunshine hours to ripen Cabernet Sauvignon in the right sites, and Pinot Noir and Chardonnay in others. All the wines are marked by, well, marked acidities, as well as brightness and freshness to otherwise ripe fruit, and often a mineral tang. These are wines with structure of tannins in the reds and a chalkiness and firmness in the Chardonnays. The best are exceptional. Adelaida District: amongst the highest altitude sites in Paso, it is not dissimilar to St Helena in Napa in warmth terms. Much Cabernet is grown here, certainly with a lot of ambition, though not perhaps yet with the know-how and skill to bring finesse. More excitingly are Rhône varieties grown on its limestone soils that had sufficient similarity to the Rhone that Beaucastel established Tablas Creek here in the 1990s with the Haas family. Willow Creek District: adjacent to and South of Adelaida but a little lower in altitude and therefore somewhat warmer, concentrating on Rhône varieties, with some decent results. Templeton Gap: adjacent to and South of Willow Creek, much lower in altitude but with cooling influences coming through the Gap. Zinfandel is particularly important here. Santa Cruz Mountains is its own AVA. As mentioned, the finest wines are Cabernet blends, Chardonnays and Pinot Noirs, with brisk to crisp acidities, minerality, tension and longevity, but still a purity of ripe fruit that marks them as California wines. 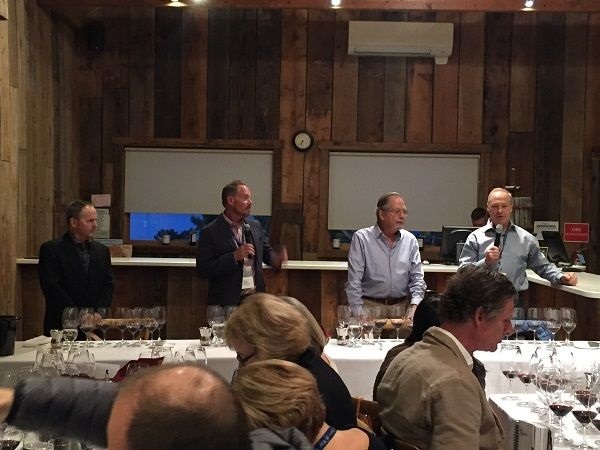 Daniel Daou, owner-winemaker of DAOU Vineyards, led a panel tasting exploring the relationship between the vineyard and phenolics in the glass, using Paso Robles wines. He was joined by fellow Paso winemakers, Scott Shirley (Justin, who moved to Central Coast after 15 years making wine in Napa), Guillaume Fabre (Clos Solène), Stephan Asseo (L’Aventure, who moved to California after 17 years in Bordeaux, in order to make wines with less restrictions than Bordeaux but reflecting his new terroir) and Kevin Willenborg (Viña Robles). Daniel also gave us an introduction to Paso. Unfortunately, this was perhaps the only session on the trip that didn’t quite work. Held in a temperature-controlled barrel room that kept the wines in the glass (and us!) at 12-14°C, this made tasting a series of heavily-extracted Cabernet blends tough going – and didn’t do these wines any favours, as it made them look even harder and more unforgiving. 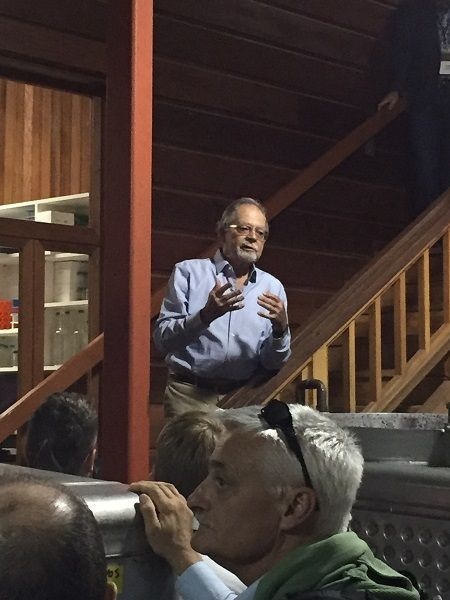 Moreover, the pitch of the introductory presentation didn’t really reflect the relatively high level of knowledge of the audience, nor did the discussion really shed a great deal of new light on the development and management of colour and tannins from vineyard to glass. I took limited notes from the presentation and none from the discussion at all. A pity. 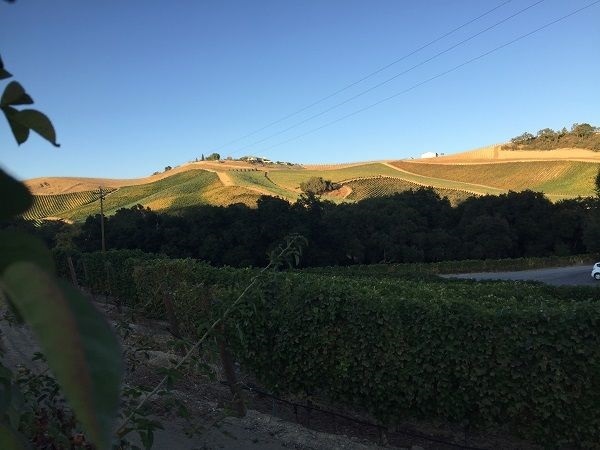 Paso is over 600,000 acres so larger than Napa and Sonoma together, with 11 sub-AVAs now, so very varied and can be as close as 7 miles to the Pacific. Nevertheless, 50% of plantings are Cabernet Sauvignon. Traditionally, West (mountainous) and East (flatter) Paso was the way to split the region, but a more detailed, AVA-based description is now the focus. 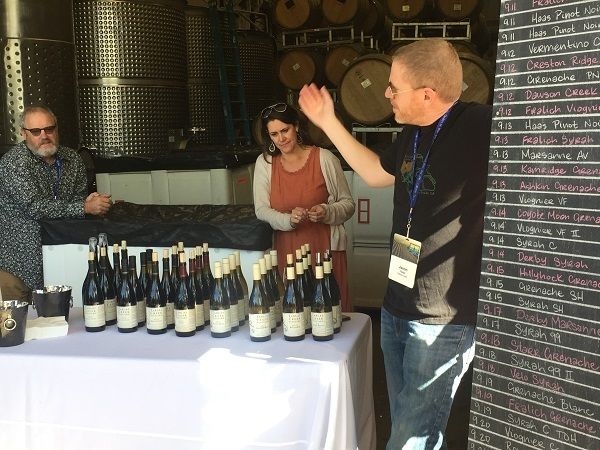 Daniel and his brother came from France and picked Paso, particularly the Adelaida District, because it has ‘French’ style soil – calcareous clay – retaining natural acidity in a hotter part of California. Water retention is good too, so dry-farming is generally possible in some district. Where irrigation is needed, it can be as little as 10 gallons / acre / year. Climates vary across sub-AVAs, so not all are ‘hot’, per the general image of Paso. Adelaida is higher in altitude, so has an average of only 5 days a year at over 100°F daytime temperatures, so is cooler than Calistoga and closer to St Helena. On phenolics, Daniel explained how he believes phenolics have long been a focus in France and other places. Phenolic measurement can identify peak phenolics for harvest date, to ensure tannins are not over-extracted, to test vineyard management techniques and measure what works, and to make more consistent wine in terms of stable colour, mouthfeel etc. Planted at 2,200ft on steep slopes. 22 months in new French oak. 14.7% ABV. $125 / bottle RRP. Planted at 2,200ft on steep slopes. 20 months in 80% new French oak. 14.7% ABV. $95 / bottle RRP. 79% Cabernet Sauvignon, 15% Merlot, 2% Cabernet Franc, 2% Malbec, 2% Petit Verdot. First blend of all the wines, looking for dark fruits from Cabernet, then fill the holes with Merlot etc. to soften or fill-out the flavour. Stainless steel open and closed tank fermentation with UV43 yeast and 2 pumpovers / day, with 17 days maceration. 24 months in new French oak. 6.6 g/L TA, pH 3.77, 14.5% ABV. $70 / bottle RRP. Wine club sales only. 72% Cabernet Sauvignon, 28% Petit Verdot. 3 different vineyards at 0.5 tons / acre, due to flowering problem. Fermented in large puncheons for 5 weeks, then 23 months in French barriques. 6.8 g/L TA, pH 3.7, 14.9% ABV. $105 / bottle RRP. 48% Syrah, 28% Cabernet Sauvignon, 24% Petit Verdot. 1.5-2 tons / acre. 15 months in 90% new French, deep and light toast barriques. Starting to experiment with co-fermentation on Rhône varieties, but not this cuvée. N: Bacon fat and white pepper. Granite mineral. 71% Cabernet Sauvignon, 20% Petit Verdot, 9% Malbec, planted 12 miles from Pacific at 1,700ft altitude. Gentle pressing to small fermenters. Fermented with frequent punchdowns and pumpovers, then 8 months in French oak, then 12 months in bottle. 7.4 g/L TA, pH 3.52, 14.8% ABV. $60 / bottle RRP. 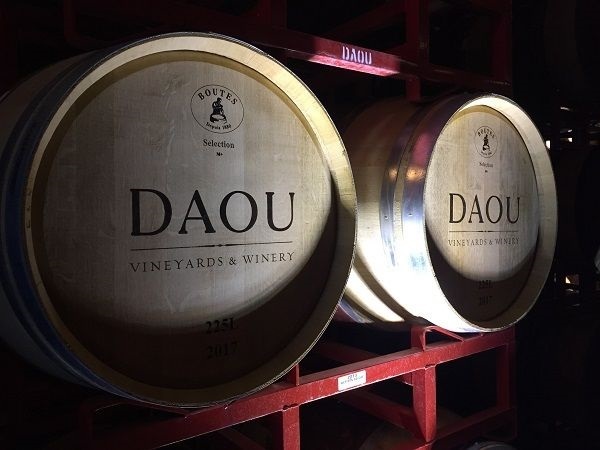 From the barrel-room, we transferred to the DAOU hilltop tasting room and terrace for a buffet dinner with primarily Cabernet Sauvignon-based wines available to taste. Entertainingly, a local animal sanctuary brought some unusual beasties for us to meet. 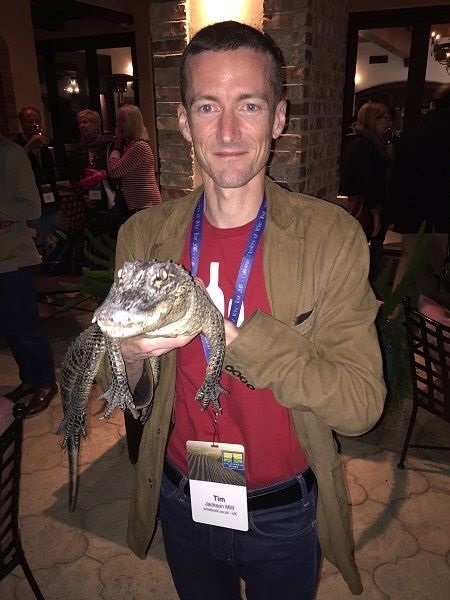 Gator-cuddling is a new sport! 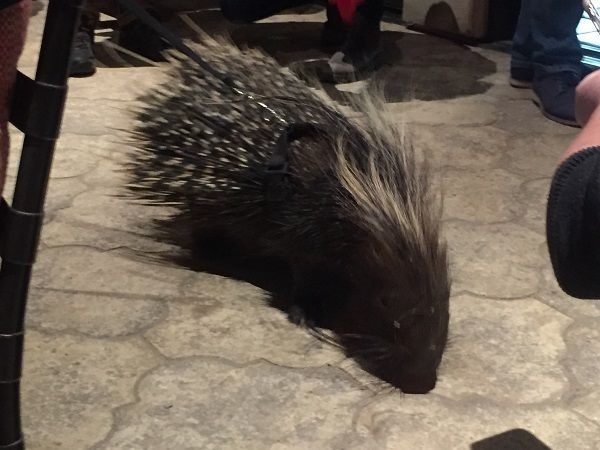 Their African Porcupine was generally interested in finding out what was going on too. 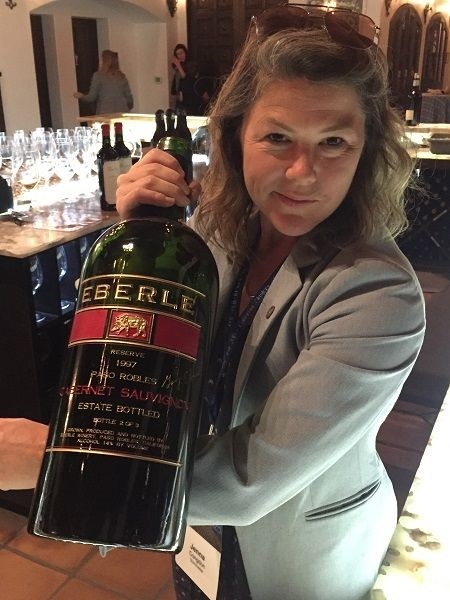 As for the wines, honestly the Bordeaux varieties in Paso don’t seem to perform well, often being baked on the one hand, then really heavily-extracted on the other – even a 5L bottle of Eberle’s Reserve Cabernet Sauvignon from 1997 still had a powerful, drying backbone of tannins at over 20 years of age. Hunting-down some off-menu DAOU Reserve Chardonnay 2017 provided welcome relief! 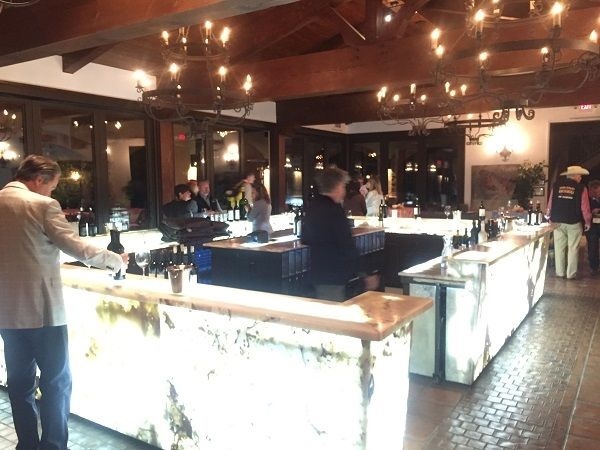 Of the Bordeaux wines, DAOU Soul of a Lion 2012 showed best – as it should at $125 a bottle. More interesting was the solitary Rhône blend – Clos Solène Harmonie 2015 – which showed that these varieties are perhaps better adapted to the warmth of Paso, even in the coolest zones like Adelaida. Steep slopes at 2,200ft altitude. 22 months in 100% new French oak. 14.5% ABV. $125 / bottle RRP. 5L impériale. 24 months in French coopered, American oak. <0.2 g/L RS, 6.2 g/L TA, pH 3.62, 14% ABV. $75 / bottle RRP. 337 clone on 110R rootstocks in Beck Vineyard at 1,700ft altitude, above the fog line, on calcareous soils. Berry-sorted into 6 ton, open-top tanks for fermentation. 5 day maceration then pressed to 100% new French oak for 17 months’ ageing. 14.5% ABV. $100 / bottle RRP. Fermented in stainless steel, open-top tanks with UV-43 yeast with 2 pumpovers / day, and total 16 days’ maceration. 24 months in 100% new French barriques. 6.6 g/L TA, pH 3.7, 15.5% ABV. $84 / bottle RRP. 60% bush-vine Grenache, 26% VSP Mourvèdre and 12% VSP Syrah, at 1,500-2,100 vines / acre. 20% whole-bunch and mostly wood fermentation. Mostly neutral oak with 85% 4-500L. 5.6 g/L TA, pH 3.75, 15.6% ABV. $85 / bottle RRP. 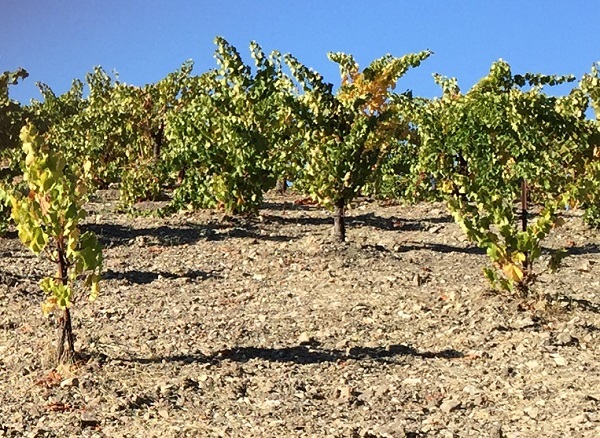 South-east of Paso Robles, on shallow soils with limestone. Crushed to stainless steel for fermentation. French and Hungarian oak for MLF and maturation. 5.9 g/L TA, pH 3.89, 15.5% ABV. $46 / bottle RRP. Extra wine, from the tasting room staff. Back at the hotel, there were a range of Rhône variety wines to taste from several producers. These were pretty hit-and-miss, which perhaps contradicted my feeling after the DAOU dinner. But Kukkula’s wines were pretty and well-made, particularly the Counoise-led Aatto 2015 red blend. Family-owned, organic vineyard. Early-morning harvest. Juicy racked into 500L and 228L, neutral French oak and 75 gallon stainless steel barrels for 24-day fermentation. No MLF. 16 months in barrel with occasional battonage for 4 months. 5.8 g/L TA, pH 3.76, 14.6% ABV. $38 / bottle RRP. 68% Grenache, 20% 369 Mourvèdre and 12% Toasted Slope Syrah clones. Family-owned, organic vineyard. Separate fermentations and 9 month maturation by variety, then blended. 18 months on lees in French oak. Grenache neutral, Mourvèdre in 25% new and Syrah in 67% new French oak. No fining or filtration. 6 g/L TA, pH 3.72, 15.1% ABV. $48 / bottle RRP. Block 2 is half of their Toasted Slope Syrah clones of ENTAV-383 and -174. Family-owned, organic vineyard. Organic farming trialled 2005 then transferred to the entire estate. 17 months on lees in 67% new French oak. No fining or filtration. 5.6 g/L TA, pH 3.78, 14.3% ABV. $50 / bottle RRP. 83% Cabernet Sauvignon, 14% Petit Verdot, 3% Petite Sirah, from the Southern-most vineyard in Paso Robles, 14 miles from Pacific. Total estate has 14,000 acres, 1,000 of which are under vine. Gentle destemming. 48 hour cold soak pre-fermentation. 16 months in French and American oak before blending. 6.2 g/L TA, pH 3.73, 15.1% ABV. $22 / bottle RRP. Only non-estate wine. 100% Petite Sirah, planted at high density, with 50°F diurnal temperature swings. Hand harvest and destemmed. Fermented with 3 pumpovers / day. 22 months in 60% French and 40% American oak. 6.2 g/L TA, pH 3.72, 15% ABV. $36 / bottle RRP. 57% Cabernet Sauvignon, 23% Merlot, 15% Petit Verdot, 5% Petite Sirah. Varieties fermented separately. Matured in American oak and racked twice then blended and 3 months more in 65% new American oak. Filtered. 6.2 g/L TA, pH 3.72, 14.5% ABV. $27 / bottle RRP. 48% Counoise, 36% Mourvèdre, 13% Grenache, planted on heavy clay over porous sedimentary rock, and organic and dry-farmed. 25-33% whole-bunch, with 1 week cold soak. Wild-yeast, stainless steel fermentation with 30-day total maceration. 18 months in 50% new, 500L French oak. Racked once at blending. No fining or filtration. 5.6 g/L TA, pH 3.9, 15.7% ABV. $40 / bottle RRP. 89% Syrah, 11% Counoise, planted on heavy clay over porous sedimentary rock, and organic and dry-farmed. 1 week cold soak. Wild-yeast, stainless steel fermentation with 30-day total maceration. 18 months in 50% new, 225L (Syrah) and 500L (Counoise) French oak. Racked once at blending. No fining or filtration. 6.2 g/L TA, pH 3.9, 15.1% ABV. $50 / bottle RRP. 50% Tablas Creek C clone Syrah, 30% Mourvèdre, 20% Grenache, planted on heavy clay over porous sedimentary rock, and organic and dry-farmed. 1 week cold soak. Wild-yeast, stainless steel fermentation with 30-day total maceration. 18 months in 50% new, 225L (Syrah) and 500L (Mourvèdre and Grenache) French oak. Racked once at blending. No fining or filtration. 5.5 g/L TA, pH 3.8, 15.1% ABV. $50 / bottle RRP. Allison Jordan introduced the CSWA, founded in 2002 between CWI for winemakers and California Association of Winegrape Growers, to create the California Code of Sustainable Winegrowing, building on existing codes from Central Coast and Lodi, accommodating them rather than absorbing them, to avoid double-certification admin. The Code now is 500 pages, covering viticulture and vinification, such as soil management, pest management, energy efficiency, solid waste management and so on. This also includes social elements like HR, and neighbours and community issues. 140 criteria exist for the vineyard and another 140 for the winery. The Code is designed to embrace economic sustainability alongside environmental and social sustainability. Organic and biodynamic philosophies and certification do have some overlap with the Code, but are different. Alongside the Code a program of education exists to help participants to implement the Code, then run a continuous improvement process to enhance this over time. In water management particularly, California has the largest proportion of vineyards irrigated on more efficient drip-irrigation systems. Water management is particularly challenging because of the range of water sources members rely on, from town water to own boreholes to lakes etc. Social dimensions include migrant worker support, particularly in Sonoma, where family welfare, Spanish-language needs, education, health and so on. In the North Coast a big push has happened to develop long-term, full-time labour instead of seasonal workers, for better quality of work done, with programs and funding to help workers become citizens, thereby avoiding ICE interventions and immigration restrictions that are hitting seasonal work. Ultimately, there has been, since 2010, an externally audited certification process for those achieving an appropriate level of sustainable behaviour – a minimum of a ‘2’ score on a 1-4 scale, on each of a series of ‘required’ practices. This also includes a restriction on the crop protection materials that may be used, though that does not yet restrict glyphosate. Pesticide residue testing of the end-wines is not required, though California has extensive reporting of pesticide use. Packaging is covered, though this does not include a maximum bottle weight, but there is a general trend across California for lightweighting. 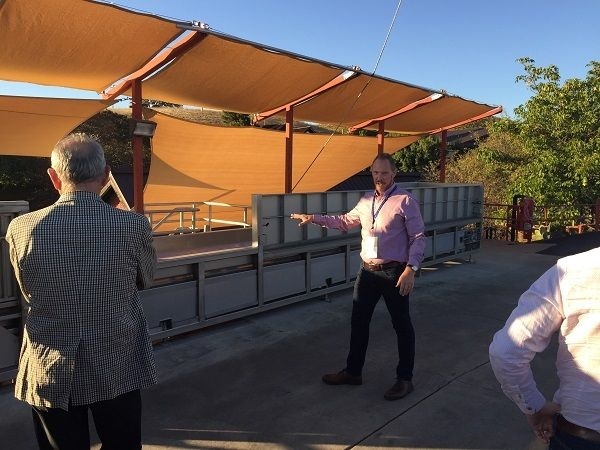 Certification came as a result of distributors and others increasingly asking about sustainability, creating a need for a formal certificate as a visible demonstration of wineries’ sustainability actions. Some members have chosen not to renew certification and sometimes auditors recommend certification is not renewed for a given year. Certification has a small admin for CSWA, plus the cost of the independent auditors. The latest development is a Certified Sustainable bottle logo, available for wines where the winery is certified and at least 85% of grapes are from a certified vineyard (and 100% from California). Finally, the CSWA analyses and reports on sustainability progress, including an annual report. This has led to changes in emphasis, such as identifying a lag in implementation of energy efficiency actions by many members, resulting in enhanced promotion of tools to increase engagement with that aspect. There are annual awards to highlight members who are leading in sustainability, such as Tablas Creek. 2,091 vineyards and wineries have participated in the Sustainable Winegrowing Program, to-date, covering 80% of California’s case production and 75% of acreage. $5.7m grants have been given to the CSWA to enhance outreach, education and promotional activities. 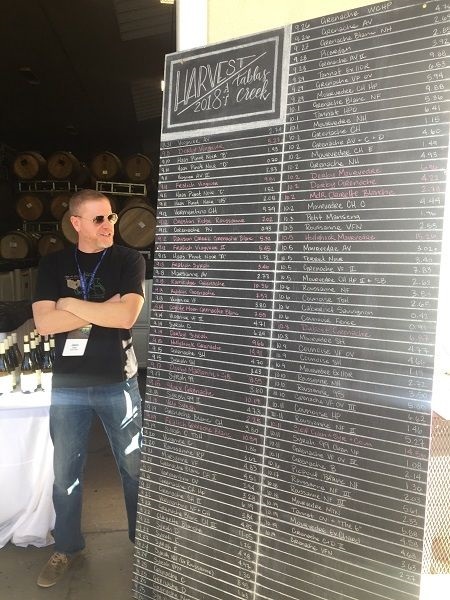 73% of case production is made by a certified winery, while 25% of acreage is certified (with another 15% certified on other programs in the state, like Lodi) – partly because the wineries see the marketing benefit more directly than growers. There are also a far larger number of growers than wineries. The CSWA targets 80% of each, certified on the latest version of the Code, though e.g. Sonoma has set itself a 100% goal by the end of 2019, with similar targets being set in the Napa AVA. Internationally, CSWA are cooperating with equivalent programs in South Africa, Australia, New Zealand and Chile, including to develop Global initiatives. 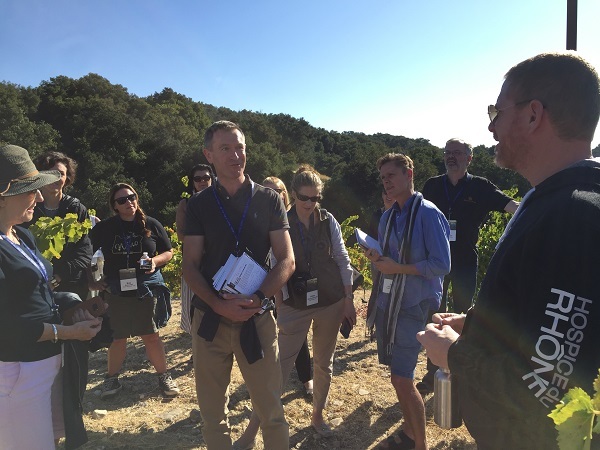 Jason Haas of Beaucastel’s California outpost, Tablas Creek, took us out into their vineyards to talk through their approach to site selection, planting and viticulture, followed by leading a masterclass of their different Rhône varieties, with British winemaker, Neil Collins. Afterwards, we were served lunch at the winery, including lamb from their own flock, and joined by winemakers Anthony Yount (Dinner and Kinero), Jordan Fiorentini (Epoch), Brian Terrizzi (Giornata) and Ryan Pease (Paix Sur Terre). Here, the hypothesis that Paso is well-suited to Rhône varieties really got some solid proof, after the previous evening’s hit-and-miss affair. 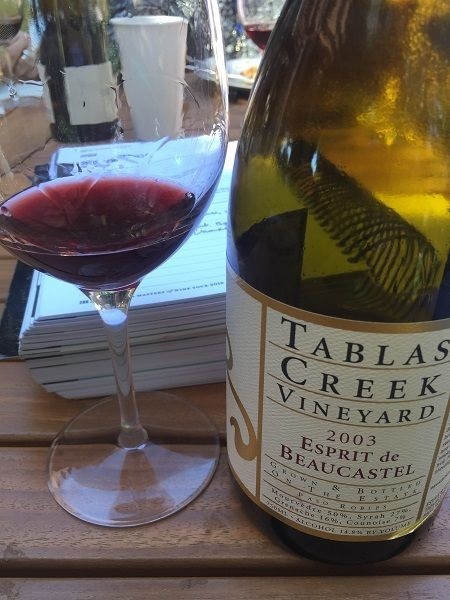 Clearly producer expertise makes the difference, with the knowhow of the Rhône Valley coming through in the finesse, freshness and aromatics of the Tablas Creek Esprit de Tablas 2016 red blend particularly, whose older brother 2003, then labelled Esprit de Beaucastel, at lunch also demonstrated longevity. Many of us were also taken by the varietal Grenache Blanc, Picpoul and Counoise Tablas produce, albeit in much smaller quantities. The Counoise demonstrated the Perrins’ view of the variety as playing a similar blending role as Cinsault – aromatic red fruit, spice and freshness. Giornata’s Luna Matta Vineyard Nebbiolo 2014 and their fine San Miguel District 2017 Fiano also suggested Paso as a strong source of other Mediterranean varieties. Jason, like Daniel Daou, gave an overview of Paso on our coach run out. The West side comprises the Coastal foothills and east of the river, more rolling foothills. Unusually, the cooler parts of the AVA are in the south, due to the Templeton gap that brings cool air in. Tablas Creek is at 600m vs. Paso itself at 200m, in the West part of Paso. Templeton Gap, Willow Creek and at the highest part Adelaida District, are all important quality sub-AVAs, with Zins in Templeton, Rhône varieties in Willow Creek and Adelaida, plus Bordeaux varieties in Adelaida – as we had seen at DAOU the previous evening. Tablas is a JV between the Haas and Perrin families, established in 1985. Haas had been Beaucastel’s distributor in the US, having identified the Rhône early on, in 1966, as under-represented and offering good value in the US. When they initially began looking at California vineyards, their focus and expectation was on Sonoma, not Paso. However, they couldn’t find any limestone, so expanded outwards and kept looking, finding 120 acres in west Paso with surface limestone, enough rainfall for dry-farming (26 inches of winter rain in the hills, that soaks into the limestone soils) and a long-enough growing season for later ripening varieties like Mourvèdre and Roussanne (Paso has very high diurnal temperature shifts in later autumn to keep freshness, but stays dry). Paso is more or less the only place in California with all 3 factors. The property was bought in 1989 and was already cleared for previous alfalfa farming. The limestone is porous due to being less fully-compressed in history to form a true, hard limestone. That holds greater water over time, allowing dry-farming in this somewhat more extreme Mediterranean climate. 30-40 frosts a year exist at Tablas, including late May. It is cooler than Beaucastel with later-picking, better acidity and a much higher proportion of whites are produced, at 35% vs 8% at Beaucastel. 80% of revenue is direct, to 10,000 mailing list and 30,000 cellar door visitors per year. UK is the largest export market, via FMV. 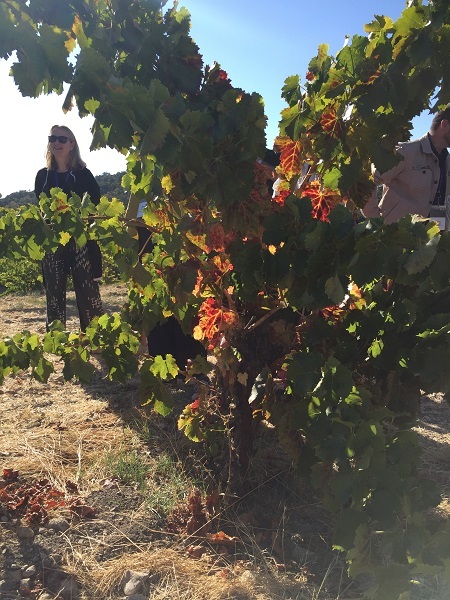 Vineyard material was brought in from Beaucastel as several varieties didn’t exist in California, while those already brought in historically were clones that produced quantity over quality. All varieties and multiple-clones were therefore imported and taken through 3 years of quarantine, before propagation of enough vines in 1994, to start planting fully in 1995-1997. The first full crop was 2000. 125Ha of 280Ha are planted, delivering 20,000 cases, 85% of which are blends. Single variety bottlings are done for education in the tasting room. 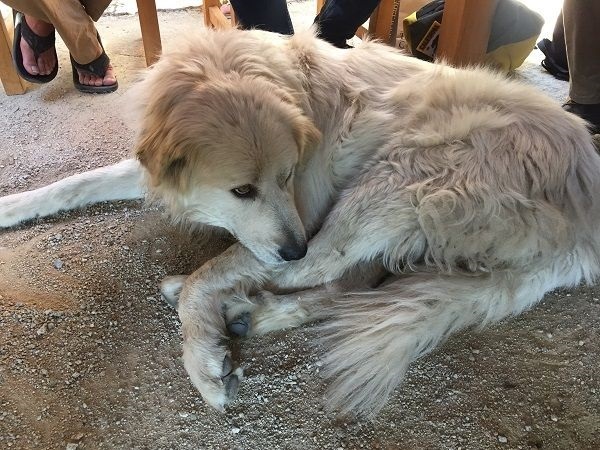 As a result, they also got into the business of selling cuttings to the Rhône Rangers and others around California, to distribute such high-quality clonal material, in order to build the quality of the total category. Vineyards were originally 3m x 1m higher-density plantings, but more recent plantings are lower at 3×3 or 3x4m in diamond formations, to give each vine more soil for their water needs when planting for dry-farming. Essentially, there isn’t enough water to go around for higher densities. 1103P rootstocks are used for limestone tolerance, high vigour and deep rooting, alongside trials of older roots like St George, though this grafts less well with Mourvèdre and Syrah. Planting is with a North-South row orientation, regardless of aspect, to get softer morning and evening Sun, and to get Westerly winds across rows for disease reduction, vs down the row. Owl boxes in the vineyards encourage nocturnal gopher control, to protect vine roots from being eaten in young vines. Alpacas are kept to graze 1-2 acre parcels for 1-2 days per block, grazing and fertilising the estate twice per winter. Some blocks have leguminous cover crops like pea and clover to support soil nutrition. Yields are lower at 2t / acre, but that is offset by $5,000 to plant vs $25,000 for an irrigated, trellised acre that yields 2-3.5t / Ha. They are now 33% low-density bush vines, with a target of 50%. The trellised produces more concentrated fruit, but the bush vines more elegance, giving blending opportunities. Grenache is pruned to 21 buds per vine in bush, while Syrah needs trellising. Vines are not interplanted, even if multiple varieties are in each block. Harvesting is done by variety due to wide ranges of ripening dates, and 200+ separate vinifications, apart from some Syrah and Roussanne co-fermentation (Viognier worked less well as Roussanne impacted aromatics less), are done to give blending options. Wild yeast and natural MLF means blending trials and bottling dates can vary due to the lengths of time that vinification takes. New wood is used, but is generally broken in with Roussanne, and lower-impact of oak is the intent in general. Blending takes place in Spring, with a tasting panel of Neil, Jason, other winemakers and one of the Perrins. Esprits are blended first, with each wine scored 1 best to 3 worst, then a set of 4-5 first blends of 1-scoring lots created. Those are then preference-ordered and adjustments made to end up at a final blend where everyone agrees it’s the best. Côtes de Tablas and Varietal wines are then blended, to be distinctive from the Esprit blend. 3-score wines are worked on in the cellar to improve their score or sold-off if that’s not possible. Flagship white, always Roussanne-led, from 45-75%, which varies depending on the quality and character of Roussanne, rather than the other variety. 75% Roussanne, 18% Grenache Blanc, 7% Picpoul. Fermented mostly in larger, neutral wood in varying sizes. Post-blending, 15-18 months in foudre then 9 months in bottle. 13% ABV. $45 / bottle RRP. 100% Roussanne. Mainstay of Esprit. Challenging to grow. Needs multiple picks to get perfect ripeness due to unevening ripening. Fermentation works well. Gives richness and ageworthiness. 12.7% ABV. $35 / bottle RRP. 100% Grenache Blanc. Introduced into California and unusually get a lot of acidity for the variety. 13.4% ABV. $30 / bottle RRP. 100% Picpoul. Left longer on the vine than Pinet, becoming more tropical whilst retaining acidity. Generally South-facing slopes as it can tolerate heat well. 12.8% ABV. $30 / bottle RRP. 40% Mourvèdre, 31% Syrah, 18% Grenache, 5% Counoise. Unusually, Syrah is the second largest component – normally Grenache, with the best Syrah the estate having ever made, resulting in none available for varietal bottling. Mourvèdre brings meaty and chalky tannins with Syrah giving aromatics and finishing power. 14.5% ABV. $60 / bottle RRP. 100% Mourvèdre. 12.3% ABV. $40 / bottle RRP. 100% Grenache. Hardest vine to grow and took years for vine age to be old enough to get supple tannins, and tends to Sun-bleach. 2 pumpovers and 2 punchdowns per day but in closed vessels to reduce oxidation, and using an air-wand to ‘punchdown’ gently. Warmer ferments to polymerise tannins and fill-out body. 14.3% ABV. $40 / bottle RRP. 100% Counoise. 13.5% ABV. $35 / bottle RRP. 100% Syrah. ? ?% ABV. $?? / bottle RRP. 96% Alban and 362 clone Grenache, 4% Syrah. 23% whole-bunch fermentation in concrete and stainless steel. 18 months in 86% neutral French oak puncheons and 14% concrete egg. 5.5 g/L TA, pH 3.68, 15.5% ABV. $75 / bottle RRP. 94% Tempranillo, 6% Grenache. 15% whole-bunch, stainless steel fermentation. 19 months in 66% new French oak. 1.4 g/L RS, 6.4 g/L TA, pH 3.81, 15.5% ABV. $65 / bottle RRP. 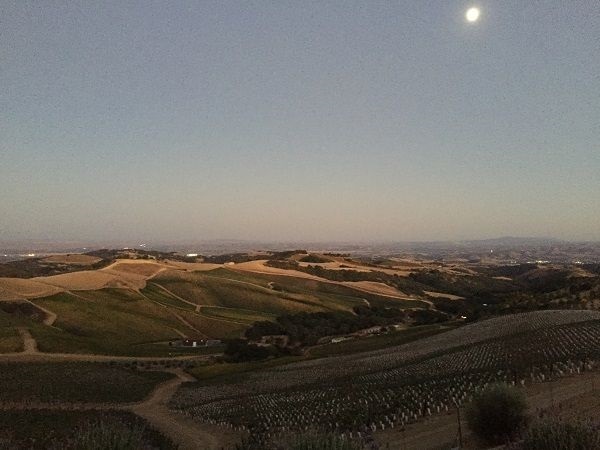 80% Fiano, 13% Trebbiano, 7% Falanghina from Nightingale Ranch, at 800ft altitude on 15-30% hillside slopes, on silty clay-loam, with weathered calcareous shale and sandstone. Wild-yeast fermentation in stainless steel. Partial MLF. Filtered. 13.5% ABV. $30 / bottle RRP. Mostly dry-farmed, organic, certified 2010, with a thin clay-loam over calcareous substrate. Wild-yeast fermentation. 24 months in 10% new French oak, then 6 months in bottle pre-release. 13.6% ABV. $45 / bottle RRP. 50% Syrah, 30% Graciano, 20% Grenache from 7 acre single estate. 7-day cold soak then 25% whole-bunch, wild-yeast co-fermentation in concrete, with 2 delestages / day. 3 week total maceration. 22 months in neutral 500L oak. 6.2 g/L TA, pH 3.67, 14.6% ABV. $55 / bottle RRP. Whole bunches cold-soaked for 24 hours before whole-bunch pressing. Wild-yeast fermentation in concrete egg then racked to old Hungarian oak puncheons. MLF. 15 months on lees. No fining or filtration. pH 3.59, 14.2% ABV. $35 / bottle RRP. 70% Roussanne, 25% Grenache Blanc, 5% Picpoul. 14.5% ABV. $?? / bottle RRP. 49% Mourvèdre, 39% Grenache, 12% Counoise. 14.1% ABV. $30 / bottle RRP. 50% Mourvèdre, 27% Syrah, 16% Grenache, 7% Counoise. 14.8% ABV. $?? / bottle RRP. 20 year old, Tablas Creek clone vines. 100% whole-bunch fermentation with punchdowns. 15-day total maceration. 14 months in neutral French oak. ? ?% ABV. $55 / bottle RRP. The second half of day 4 took us through Monterey – sadly not stopping in the up-and-coming Santa Lucia Highlands AVA, which is making a mark as a cooler zone, with more elegance, in this otherwise warm-to-hot, broad valley area – and on up to the Santa Cruz Mountains, immediately South of San Francisco. This zone, making one side of Silicon Valley, is comparatively sparsely populated and even less densely covered in vines, but its altitudes and fog interactions create some of the freshest expressions of Chardonnay, Pinot and Cabernet in California. In the hills immediately above Cupertino is the Monte Bello estate, source of Ridge’s eponymous, world-famous, Cabernet Sauvignon blend. The steep and winding road took us up towards the summit, where the forested hillsides give way to scattered plots of vines at altitudes up to 800m. 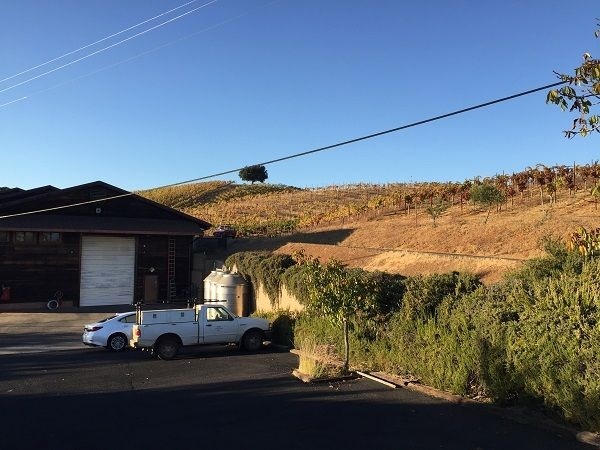 We were met at the winery by retiring, long-time CEO and face of Ridge, Paul Draper, along with Eric Baugher who has progressively taken over Ridge’s operations alongside winemaking at Monte Bello. Paul and Eric took us on a richly-insightful tour of the winery, discussing a wide range of viticultural, winemaking and blending practices at Monte Bello – and more widely across Ridge – which, rather than laying them out here separately, I am incorporating into my existing standalone profile of Ridge, found here. 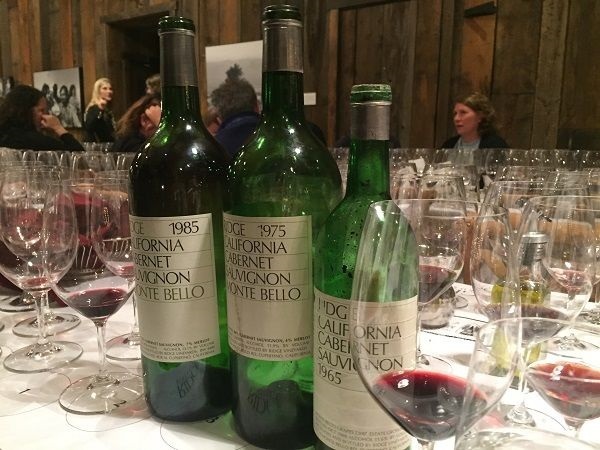 This visit was followed by one of the biggest highlights of the whole California tour: a tutored, vertical tasting of every Monte Bello red vintage ending in ‘5’, back to 1965, preceded by approximately 20 year spreads on Geyserville and Lytton Springs Zinfandel blends. Paul and Eric were joined by David Gates, Ridge’s SVP of Vineyard Operations, and John Olney, winemaker at Lytton Springs. 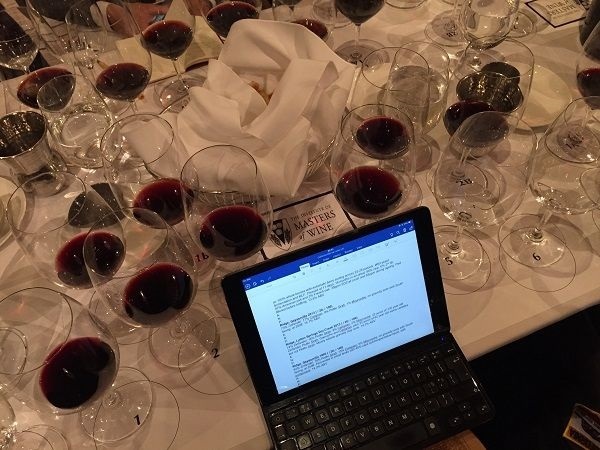 In these tastings, the two Zinfandel estates again demonstrated their ageworthiness, with both 1990s vintages showing exceptionally well, especially Lytton Springs 1999 that I gave 18 / 20 or 96 / 100. Amongst the Monte Bello wines, which all showed consistent acidity and firmness of structure, my birth vintage Monte Bello 1975 was actually very fine – once I got a taste of one of the better bottles. Monte Bello 1985 was nevertheless the better wine, and the finest in the line-up. The 1965 held up surprisingly well, but was certainly completely mature and starting to fade. 1A. First made in 1960s. Finally purchased in 2016 after long-leasing of it. 73% Zinfandel, 17% Carignan, 9% Petite Sirah, 1% Mourvèdre, on gravelly soils with South facing, at 200ft. pH can sometimes be so low, that CaCO3 can be added to double-salt de-acidify to around pH 3.4 14.7% ABV. 1B. 62% Zinfandel, 18% Petite Sirah, 15% Carignan, 5% Mourvèdre, on gravelly soils with South facing, at 200ft. Fermented in small tanks with 40% caps submerged below liquid, with pumpovers. 14.2% ABV. 2A. 2 miles from Geyserville. Made since 1972. Owned since 1991, with a winery since 1999. 74% Zinfandel, 16% Petite Sirah, 8% Carignan, 2% Mourvèdre. 42 acres of 130 year old Zinfandel, Petite Sirah, Grenache and Carignan, plus 33 acres of 62 year old same varieties but not Petite Sirah. Mostly hillside gravelly clay soils. 14.3% ABV. 2B. This vintage had extra depth and structure, which they believe will be a 30 year wine. 70% Zinfandel, 17% Petite Sirah, 10% Carignan, 3% Mourvèdre. 42 acres of 130 year old Zinfandel, Petite Sirah, Grenache and Carignan, plus 33 acres of 62 year old same varieties but not Petite Sirah. Mostly hillside gravelly clay soils. 15 months in air-dried American oak. 14.5% ABV. Not made by Paul Draper. 11.6% ABV. Two magnums tasted. Notable bottle variation, with the first showing mushroomy, slightly musty tones (16.5- / 20; 92- / 100) and the second more classical aged Cabernet elegance. Very cool vintage. 96% Cabernet Sauvignon, 4% Merlot. 11.9% ABV. 93% Cabernet Sauvignon, 7% Merlot. 13.1% ABV. Most tannic vintage of the 1990s. 69% Cabernet Sauvignon, 18% Merlot, 10% Petit Verdot, 3% Cabernet Franc, grown between 2,300-2,600ft on fractured limestone with Franciscan green stone, at 1-2t / acre. 12.5% ABV. Tannins extracted rapidly, with lots of concentration, so did the best they could to moderate the tannin load. Also quite high acidities. Just reaching drinkability now. 70% Cabernet Sauvignon, 22% Merlot, 6% Petit Verdot, 2% Cabernet Franc, grown between 2,300-2,600ft on fractured limestone with Franciscan green stone, at 1t / acre. Head-trained, cane-pruned on a vertical trellis, with VSP. Gentle destemming, no crushing so 50% whole berries across 36 separate lots. Wild-yeast fermentation and MLF. Pressed at 8 days. Air-dried, 94% new American oak and 6% new French oak. 13.4% ABV. Drought vintage that began in 2012. Vines starting to struggle so set small crops, plus some rain in Monte Bello too. Mild summer, with an even growing season. On the skins for longer to extract structure. 77% Cabernet Sauvignon, 11% Merlot, 7% Petit Verdot, 5% Cabernet Franc, grown between 2,300-2,600ft on fractured limestone with Franciscan green stone, at 1t / acre. Head-trained, cane-pruned on a vertical trellis, with VSP. Gentle destemming, no crushing so 100% whole berries with automatic berry sorting across 22-25 parcels. Wild-yeast fermentation and MLF. Pressed at 11 days. 16 months in air-dried, 94% new, 6% 2nd fill, 97% American oak and 3% French oak. 35ppm SO2 at crush and 65ppm during ageing. Pad filtered before bottling. 13.5% ABV. 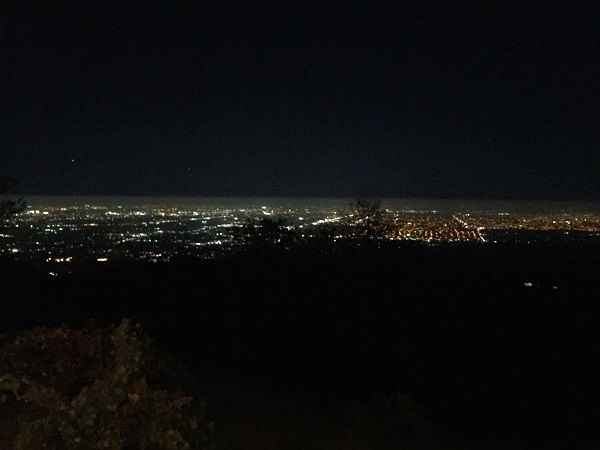 Our evening at Ridge was completed by a marquee dinner overlooking Silicon Valley’s lights, twinkling in the gentle misty haze below. With dinner, we tasted more from Ridge, including the fine but tight Monte Bello Chardonnay 2015, and the superb Monte Bello 2012. The 1971 Essence Zinfandel sweet red to finish up with was a fascinating curio. 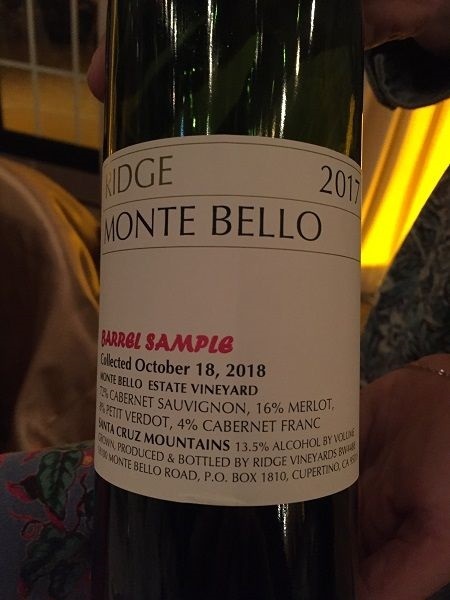 Curiously, the finished, latest Monte Bello vintage, 2017, was surprisingly different in style from all the other vintages tasted, being more in the mould of conventional California Cabernet, with deep, dense colour and almost liqueur fruit ripeness, plus powerful tannins. I wonder what the market will make of it? We were also joined by near neighbours and equally historic winery, Mount Eden, whose plant material can be found widely as Mt Eden clones. Their 2012 Chardonnay was also fine, but with an almost Pauillac-like, polished cassis and cedar-graphite tone, Mount Eden Estate Cabernet Sauvignon 2012 was a real show-stopper. A fine and elegant, cool-climate California expression of Cabernet. 1,300-2,600ft estate plots on fractured limestone overlaid with decomposing Franciscan greenstone and clay loam soils. Head-trained, cane-pruned to trellis with VSP, yielding 1.6t / acre. Hand-harvested. Whole-bunch pressed. Wild-yeast barrel fermentation. Natural MLF in barrel. 11-18 months in 8% new, 93% American and 7% French oak. 30ppm SO2 at pressing and 44ppm during ageing. No filtration. 14.5% ABV. $?? / bottle RRP. 1,300-2,600ft estate plots on fractured limestone overlaid with decomposing Franciscan greenstone and clay loam soils. Head-trained, cane-pruned to trellis with VSP, yielding 2.4t / acre. Hand-harvested. Whole-bunch pressed. Wild-yeast barrel fermentation. Natural MLF in barrel. 17 months in 14% new, 90% American and 10% French oak. 30ppm SO2 at pressing and 121ppm during ageing. No filtration. 14.3% ABV. $?? / bottle RRP. 1st bottle corked. 2nd bottle opened. Barrel fermented, MLF and 10 months on lees in 50% new French oak. At harvest: 8.1 g/L TA, pH 3.3, 23.5Brix. 13.5% ABV. $?? / bottle RRP. Finished blend. ? ?% ABV. $?? / bottle RRP. 64% Cabernet Sauvignon, 22% Merlot, 8% Cabernet Franc, 6% Petit Verdot. 1,300-2,660ft estate plots on fractured limestone overlaid with decomposing Franciscan greenstone and clay loam soils. Head-trained, cane-pruned to trellis with VSP, yielding 1.3t / acre. Hand-harvested. Selection of 19 of 24 Monte Bello parcels. Destemmed to yield whole berries, auto then hand sorted. Wild-yeast fermentation for 7 days, with 2.4% water addition to 12 of 19 lots. Natural MLF, 85% in barrel. 16 months in new, 98.5% American and 1.5% French oak. 25ppm SO2 at crush and 115ppm during ageing. Pad filtration at bottling. 13.8% ABV. $?? / bottle RRP. 78% Cabernet Sauvignon, 10% Merlot, 10% Cabernet Franc, 2% Petit Verdot. 23 months in 60% new French oak. At harvest: 5.7 g/L TA, pH 3.4, 23.5Brix. 13% ABV. $70 / bottle RRP. Grapes left to dry on the vine with little botrytis. Juice soaked out to 37Balling in fermentation tank, leaving the wine naturally sweet. 9 g/L TA, 13.7% ABV. $?? / bottle RRP.